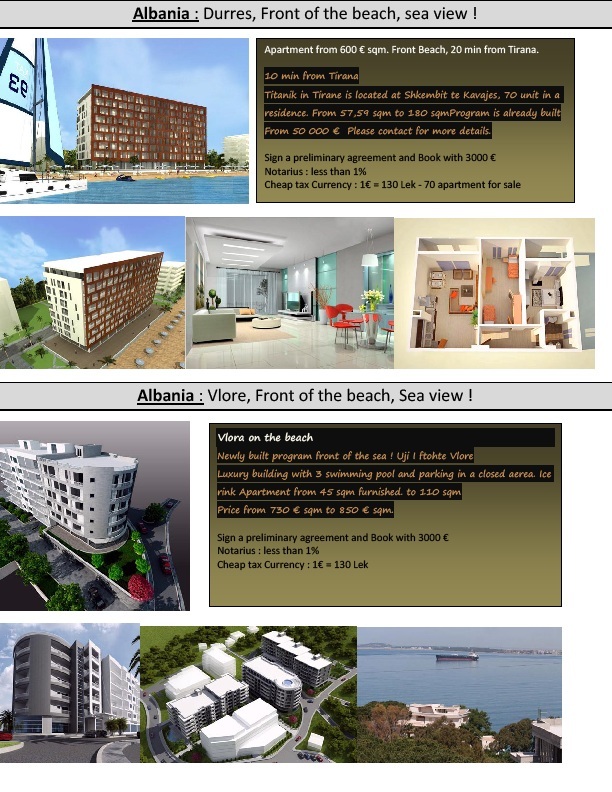 // Vlora on the beach Newly built program front of the sea ! Uji I ftohte Vlore Luxury building with 3 swimming pool and parking in a closed aerea. Ice rink Apartment from 45 sqm furnished. to 110 sqm Price from 730 € sqm to 850 € sqm.